Undefeated 140-pound contender Regis Prograis will now face former unified world champion Julius Indongo for the vacant Interim WBC Super Lightweight World Championship on Friday, March 9, in the 12-round main event of SHOWTIME BOXING: SPECIAL EDITION live on SHOWTIME at 10 p.m. ET/PT from Deadwood Mountain Grand in Deadwood, South Dakota. 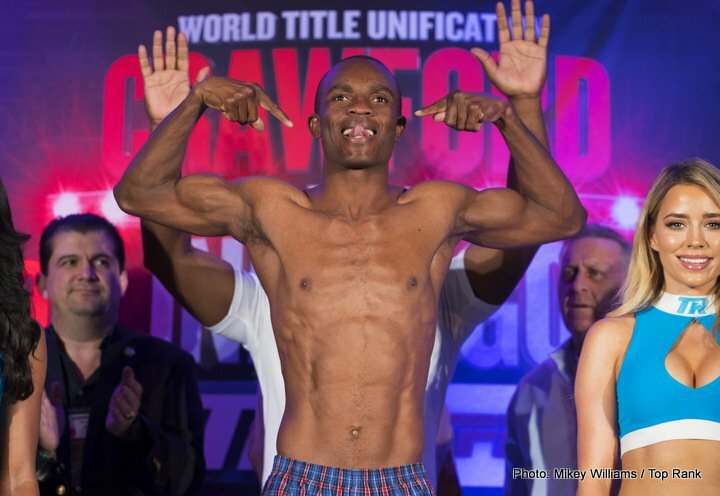 Indongo replaces the previously announced Viktor Postol, who was forced to withdraw from the bout with a hand injury. Born in Namibia and now fighting out of Omaha, NE, Indongo (22-1, 11 KOs) is a former unified champion who held the IBF and WBA 140-pound titles. In 2016, Indongo traveled to Moscow, Russia, to dethrone IBF Junior Welterweight Champion Eduard Troyanovsky with a stunning first-round knockout. In his first defense as champion, Indongo traveled to Glasgow, Scotland, for a unification bout with WBA Champion Ricky Burns. The 35-year-old won a 12-round unanimous decision to become unified champion. In his first bout as a unified titleholder, Indongo made his U.S. debut against fellow undefeated and unified champion Terence Crawford in a showdown to determine the undisputed champion of the 140-pound division. It was the first championship bout with all four major world titles at stake since Jermain Taylor dethroned Bernard Hopkins in 2005. Indongo lost to Crawford, suffering the only defeat of his professional career. Prograis (20-0, 17 KOs), of Houston by way of New Orleans, has scored knockouts in 13 of his last 14 fights and is a rising star in the wide-open 140-pound division. Indongo represents the toughest challenge of his career with his lone loss to one of the top fighters in boxing, Terence Crawford.